Now well into its new financial year, Access Group reports staggering growth figures having built on the strong foundations of the previous year. Now well into its new financial year, Access Group reports staggering growth figures having built on the strong foundations of the previous year. As new talent enters its recruitment division to lead its ambitious plans which include the company’s latest proposition Access Workspace, the UK software company is now in prime position competing with the top recruitment providers. The growing software company ended its remarkable financial year with the introduction of Access Workspace in July, its latest proposition in connected working. The new platform brings together all departments across a recruitment business, from sales, finance, HR, IT and compliance to fuel efficiency, productivity and collaboration. With all Access products linked to one platform, with single sign-on accessibility, each system works richly together to monitor performance, share information and give recruiters the freedom to focus on candidate and client relationships instead of laborious administration. As dedication to its continuous expansion, new senior appointments have been made to Access’ recruitment arm – a clear indicator that the Group are not slowing down any time soon. The new roles support Paul Vogel, who now leads the charge as MD of Access’ extended recruitment division which incorporates Safe Staffing. The division’s new appointments include Nick Hogan, as divisional director, Alastair Corbett who joins to focus on accelerating the customer success goals and Jason Martin as director of strategy. Jason, previously commercial director for Safe staffing, is now responsible for defining Access’ recruitment product roadmap and is working with some of the UK’s top 10 recruitment agencies who are contributing insight to ensure Access is accurately anticipating the needs of the market. 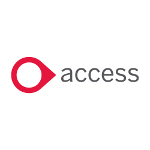 As well as being able to help an agency with everything from candidate attraction to cash collection, Access’s strategy firmly incorporates mobile, further automation of processes and improving the user experience. Evidence of these can be seen in the new version of Access RDB launching next month, the company’s flagship CRM software which has been redesigned to make a recruiters life more productive and will be delivered on Access Workspace, providing the added benefits of relevant apps, data sharing and fast access to other Access products without having to sign in again. Access’s Screening software in particular has seen phenomenal success in the last 12 months and is on track to double the number of background checks compared to last year – taking the number of checks in 2018 to at least 200,000. The clever screening software helps businesses run DBS, financial, reference and Right to Work checks, to name just a few. Given the need to screen potential candidates is going to become more critical, by providing software to automate such checks again helps free up the precious time of a recruiter. Unlike other providers, Access has meticulously stayed ahead of the curve, becoming one of the first to offer a GDPR tool built into its Screening platform, allowing customers to remain complaint. It’s clear that with the company’s latest proposition, Access Workspace, delivering a true candidate to cash platform is now a reality. Whether it’s temporary, permanent or contract recruitment, Access is dedicated to collaborative working, increased productivity and staying true to its promise to help the recruitment sector in any way they can - extending well beyond the traditional sales system capabilities and expanding into agency operations and inter-department connectivity. Access helps the UK's top recruitment agencies to simplify the everyday running of their business to improve productivity, control costs and enable growth. We bring together best of breed products onto one single platform to make a difference to your entire recruitment process - from sourcing the right candidate, paying staff, billing clients and complying with confidence. Easy to use recruitment software to keep you up and running - anywhere, anytime.